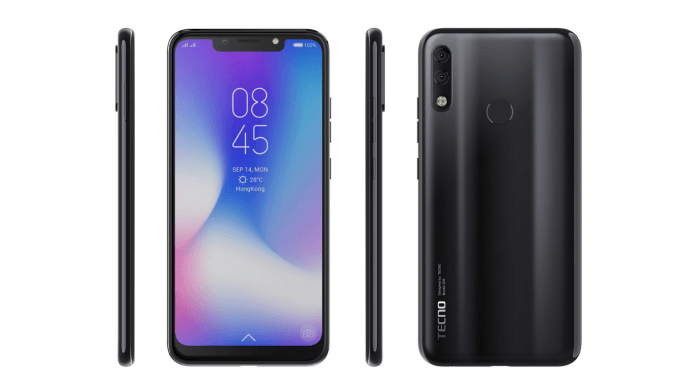 The Tecno Camon 11 is now the latest phone from the Camon series and as a new phone, it has packs an ample RAM and a beautiful body design as well. It’s the successor of the Tecno Camon X. In this article, we will be comparing the phone with the Tecno Camon X Pro since they both have the same 4GB RAM and similar hardware as well. In terms of design, the Tecno Camon 11 features a smooth body design with a notch on the front. It features dual rear cameras with an LED flash and a fingerprint scanner as well. Measuring 153.7 x 74.5 x 8.5 mm in dimensions and weighing 158 gram, the Tecno Camon 11 also proved to be a lightweight device. The Tecno Camon X Pro has similar body design. However, the phone does not have a notch and it only has a single rear camera with a fingerprint scanner. It’s also a little bit thicker than the later as it measures 159.5 x 77.7 x 7.8 mm and weigh 165 gram. The Tecno Camon 11 is winning on the design comparison. The Tecno Camon 11 has a bigger screen size of 6.2 inches with a screen resolution of 720 x 1500 pixels and 268 PPI density, while the Tecno Camon X Pro has a display screen size of 5.99 inches with an impressive screen resolution of 1080 x 2160 pixels and 403 PPI density. The Camon X Pro has a higher density so it will deliver clear visuals than it’s rival, while the Tecno Camon 11 has a higher screen to body ratio. Both phones have a display protection and IPS LCD capacitive touchscreen. The Tecno Camon 11 sport a dual sensor on the back, whereas the Tecno Camon X Pro has only a single camera. The Camon 11 main camera comprises of 13 MP (f/2.0, AF) + 5 MP (depth sensor) with quad-LED flash, while the Tecno Camon X Pro has a single camera of 16 MP with autofocus and quad-LED flash. Both phones main cameras features face detection, HDR, panorama and they will both shoot 1080p video resolution. The Tecno Camon 11 has a front facing camera of 16 MP (f/2.0, 1.28µm) with 1080p and Face recognition, while the Tecno Camon X Pro has an impressive front facing camera of 24 MP with LED Flash and Face recognition. The Tecno Camon X Pro will take better photos than that later. 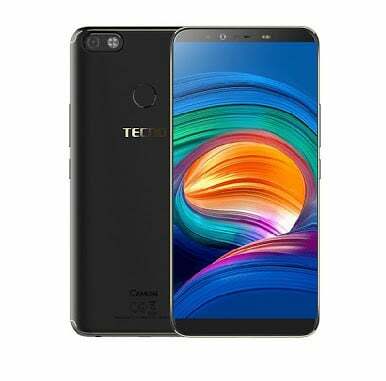 The Tecno Camon 11 has a MediaTek MT6761 Helio A22 chipset with Quad-core 2.0 GHz processor and PowerVR GE8320 GPU, while the Tecno Camon X Pro packs Mediatek MT6763 Helio P23 with an octa-core processor that clocked at a speed of 2.0 GHz and Mali-G71 MP2 for graphics. Both phones will offer smooth performance to users with the help of 4GB RAM on the inside. The Camon 11 has a cheaper variant with 3GB RAM and it has internal memory of 32GB, while the Tecno Camon X Pro has inbuilt storage of 64GB. They also support micro SD card which you can use to expand the memory and they runs on the same Android 8.1 Oreo operating system. The Tecno Camon 11 and the Camon X Pro has the same nonremovable battery capacity of 3750 mAh. On the price, the Tecno Camon X Pro will cost around $187, while the Tecno Camon 11 will sell at a price of $170. The Tecno Camon X Pro will slightly outperform the later. However, on the overall, the Tecno Camon 11 wins with a modern design and a bigger screen size as well. It’s true the Camon X Pro will take a better selfie, still, the Camon 11 will also represent in that area. The Camon 11 is a new phone and it’s more affordable, so it will make a better option here. You can choose the variant with 4GB RAM which is the same with the Camon X Pro.